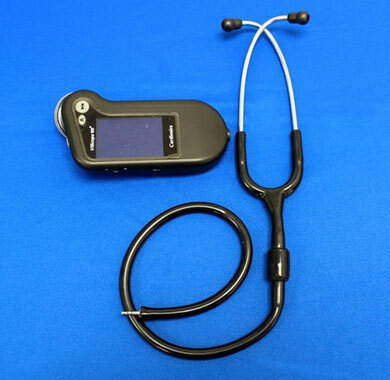 HD Medical, a Sunnyvale, CA firm, recently unveiled its ViScope MD digital stethoscope that works like a traditional stethoscope, but also displays the phonocardiogram of the recorded sounds. Besides helping you hear and visualize the sounds, the ViScope MD also features a murmur indicator that will point out suspect sounds that might be indicators of underlying cardiac conditions. The device interfaces with PC computers for saving and sharing of recorded auscultations and can support external audio systems for teaching situations and any other time when other would want to listen in on an exam.